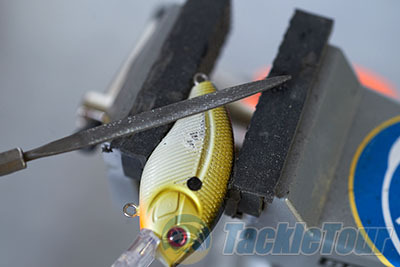 Introduction: There are a lot lures that dive and wobble aggressively but how many have embedded electronics that emulate the sound of baitfish in the water? 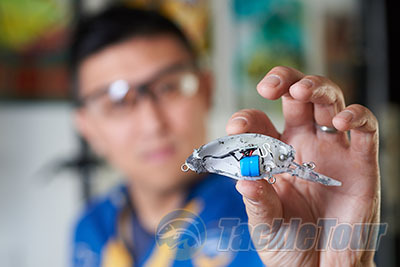 That is exactly what Livingston lures are able to do, and we decided it was high time to put one of their unique baits under the knife to see just what makes them �howl.� We decided to cut open the Livingston Lures Howeller, the crankbait that Pro Angler Randy Howell credited with helping him win the 2014 Bassmaster Classic title. The Livingston Lures Howeller Dream Master Classic is a medium diving crankbait that is 2-1/2� in length, weighs in at 5/8oz. and has a reinforced lip that enables the bait to dive down to ten feet. 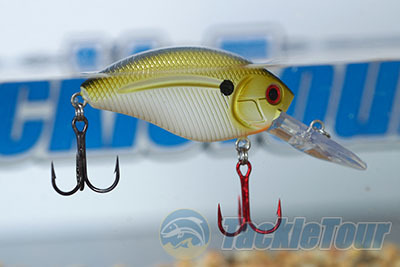 When you first look at the bait it looks straightforward enough and is can easily be mistaken for just another run of the mill hard bodied crank. 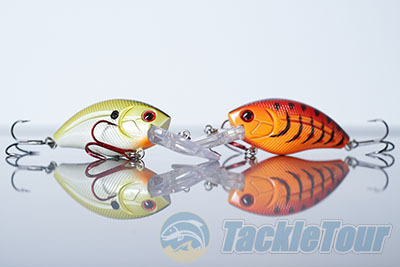 Shake the bait and you can hear an internal rattle within the bait, but that is far from the only sound that this lure is capable of emitting. 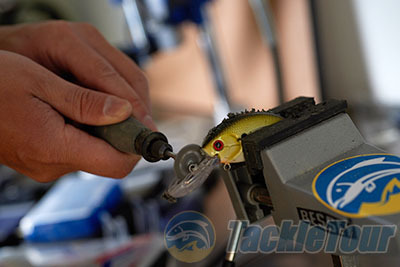 This bait features the company�s EBS (Electronic Baitfish Sound) technology which is an internal electronic acoustic system that emulates the natural sound of a panicked baitfish. This system is activated once the bait hits the water and consists of a sounder, a �smart chip,� which is designed to work in unison with the physical rattle to create sounds that are designed to attract and entice predatory fish to strike. Once the bait is out of the water and dry, the EBS technology automatically powers down to preserve battery life. In the test tank the bait floats to the surface and holds in a nice even keel position. The bait is armed with two treble hooks and on the Tennessee Shad and Spring Craw versions we had in the lab the forward hook is armed with an anodized red hook.